If you have been struggling to get pregnant and feel like you have tried everything, I have a new idea for you – chiropractic care. Research shows that getting your spine and pelvic region aligned by a chiropractor may be a missing key to you achieving pregnancy. Chiropractic care can support reproductive function. Don’t just take my word for it, I consulted an expert in the field, Chiropractor Dr. Jodi Sampson. 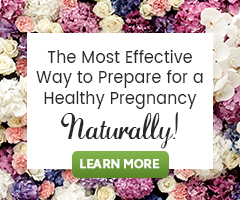 I would like to share her thoughts with you on how chiropractic care can play an integral role in achieving pregnancy. Elizabeth: First, welcome! Tell us about yourself: When did you become a chiropractor and how long have you been practicing? What led you to this field of work? Dr. Sampson: First, I am a wife to Dan and mother to 3 teenagers: Sydney (15), Lily and Sam (13). I did not know what I wanted to study upon entering my undergraduate program in college. Becoming a chiropractor was on my radar, but my freshmen advisor discouraged me saying that I was “too small” to be able to adjust people. God has a way of working things out though. I have learned that through trials come strength. After surviving a car accident in February of 1997, where I flipped my car end over end and landed upside down suspended from my seat belt, I needed to see a chiropractor. The doctor I saw was not much taller/bigger than I. My dream was then renewed! The very month after my accident, March of 1997, I applied to Northwestern College of Chiropractic (NWCC) to begin my studies in January of 1998. I graduated from NWCC in 2001 and have been in practice for nearly 15 years. The foundation of my practice is Functional Medicine. Functional Medicine is personalized medicine that focuses primarily on prevention and addressing underlying causes of serious chronic disease instead of symptoms. Integrating the optimal ranges with a patient’s history, lab work and physical exam allows me to use blood testing in a more preventive and functional manner. Elizabeth: What role can chiropractic care play in preparing for conception and/or struggling with infertility? Dr. Sampson: Correcting any interference from misalignment of bones will help the nervous system be able to work appropriately. Not just with infertility, but with daily life activities like: exercising, strengthening your immune system, living life well and even carrying your future children. Elizabeth: Through my research, I have learned that case studies are showing a possible link between spinal adjustments and increased fertility. In your opinion what is this link? Dr. Sampson: As chiropractors, we know that having proper alignment of the spine is critical in allowing the nervous system to do its job. Having a subluxation, or interference where the vertebrae is pinching on a nerve, can affect quality of life. Adjustments can assist in providing optimal feedback from the brain to the spinal column and body. If the nerves that innervate the ovaries and/or uterus have been compromised due to life… i.e. sitting at a desk, wearing high heels, slipping on the ice, falling on your sacrum (tail bone), the nervous system is likely not working the way God intended. The proper feedback from the brain to the sacral plexus (nerves that innervate the sacrum/uterus) can be altered due to the bones of the spine not being in proper alignment. Elizabeth: How can a nutritional/functional medicine evaluation benefit those preparing for conception and/or struggling with infertility? Dr. Sampson: With my patients struggling with infertility, we do a hormone panel that looks at saliva over 28 days. This way we can see the ebbs and flows of estrogen and progesterone over the entire menstrual cycle. This is extremely helpful information. This test takes into account the fluctuations of the hormones from day to day and whether the woman is in a follicular or luteal phase. After a saliva hormone panel, blood hormone testing then allows me to see a snapshot of a particular day. Blood testing for hormones, in my opinion, should only be used for confirmation after a full 28-day saliva panel has been done. Food sensitivities: Food sensitivities can affect levels of inflammation. Eliminating certain foods can improve hormone levels and affect digestion positively. Heavy metal load. This is another test that I look at because of our exposure to heavy metals through fish consumption, silver/amalgam fillings, and pollution from our water and food supplies. I find many women have higher levels of mercury and arsenic. Toxicity absolutely affects one’s ability to become and stay pregnant. Elizabeth: What can someone expect to feel or what are the changes someone might see in their bodies after receiving chiropractic adjustments? Dr. Sampson: Everyone is different – their biochemistry, their genetics, their environment. Because everyone is unique, there is not a cookie cutter approach. I take a detailed history, I look at labs, I spend 1 -2 hours for the initial appointment. I want to get to know my patient. I like to think of myself as a “detective’ working to put the puzzle pieces together. My intention when a patient walks through the door is to gain knowledge and understanding as to what factors may be making them unwell. I want to offer them tools to leave with to help them and their families be better. Elizabeth: How can you comfort and educate someone who may be hesitant to see a chiropractor? Dr. Sampson: My children were adjusted within minutes of being born. It is my educated opinion that chiropractic care can be helpful for most anyone regardless of age: be it a woman struggling with infertility, an infant that just went through the birth canal, a toddler who topples over daily, or a mom who carries an infant car seat around town. It’s a matter of which chiropractor fits best for you and your family. Listen to your intuition. When you feel at ease and your heart finds peace, this is the chiropractor you should choose to be a part of your care team. When diligently working to improve diet, cleanse the liver, manage stress levels and nix poor lifestyle habits to decrease exposure to toxins, consider supporting nervous system function too. Chiropractic care is one integrative treatment option to help restore and optimize the body’s innate ability to create the miracle of life. Dr. Jodi lives and practices in Southern Minnesota.